Caring for a senior with Alzheimer’s disease can sometimes be a challenge. Even the most dedicated family caregivers are not always able to provide the care their elderly loved one may need. Enlisting additional help from Home Care Assistance of The Grand Strand, SC, means you can feel at ease knowing your loved one’s safety, health, and happiness are ensured during all hours of the day. Our professional caregivers can offer support for your loved one throughout any stage of Alzheimer’s, on a schedule that best fits his or her needs. Though some seniors with Alzheimer’s require 24-hour live-in care, many still live semi-independently, only needing assistance for a few hours each day. 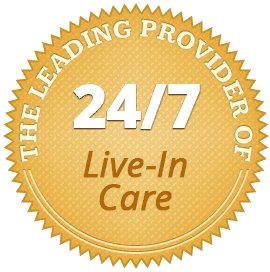 Home Care Assistance in The Grand Strand, South Carolina, can accommodate any care schedule, from a few hours in the morning or evening to around-the-clock care. We make sure to keep communication open, and all of our dedicated Care Managers are available 24/7 to ensure all care needs are being met as your senior loved one’s condition progresses. It may be difficult to allow someone other than yourself to care for your loved one, but knowing a professional caregiver is available to assist him or her during any or all hours of the day can help you sleep easy. 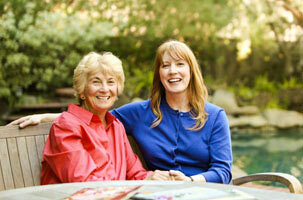 At Home Care Assistance, your loved one will receive the highest quality Alzheimer’s care. Our Care Managers conduct regular quality assurance visits, and they are available 24/7 to answer any questions you may have throughout the care process. Interested in finding out more about in-home Alzheimer’s care from Home Care Assistance of The Grand Strand? Call us today at (843) 353-3105 and schedule a complimentary no-obligation consultation.